Finding the perfect jewelry starts with finding the perfect jeweler. We offer experience, knowledge, expertise and resources that you can count on. In the Spring of 1992, Becky Beck Ryan followed her entrepreneurial spirit and embraced her creative nature to establish Becky Beck’s Jewelry Store. 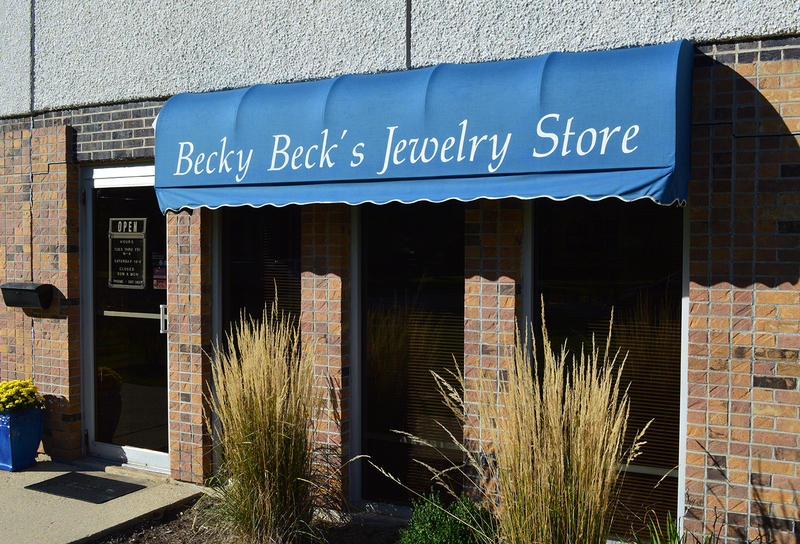 Tucked conveniently off the congestion of major retail arteries, Becky Beck’s Jewelry is easily accessible and provides plenty of private parking – both features that enhance a relaxed, comfortable shopping experience. The store offers a diverse selection of fine jewelry products to celebrate life’s milestones, with expert service from a friendly, knowledgeable staff. They understand that jewelry makes a statement as unique as the individual, and appreciate the emotion and significance attached to each customer selection. Becky Beck’s 20 year membership in the Independent Jewelers Organization (IJO), of which she has served on the Board of Directors, allows her access to exclusive product selection and designs, as well as continuing educational forums. Membership in this professional organization provides the opportunity for Becky to travel twice a year to Antwerp, Belgium, aptly referred to as The Diamond Capital of the World. While working in Antwerp with other IJO jewelers from around the country, Becky is able to hand-select diamonds for her customers and the store, directly from the cutters. Becky Beck Ryan is an active member of the DeKalb-Sycamore communities. Past-President and 20 year member of the Kishwaukee Sunrise Rotary, Becky is consistently active in many community service projects. A member of the DeKalb Chamber of Commerce, Becky acknowledges the importance of supporting community businesses, and establishes and maintains local business relationships in her day-to-day operations.